Shortbread is a type of biscuit/cookie, which is traditionally made from one part white sugar, two parts butter, and three parts flour (by weight). Shortbread is so named because of its crumbly texture. Shortbread is originated in Scotland, but due to its popularity it is also made in the remainder of the United Kingdom, and similar biscuits are also made in Denmark, Ireland and Sweden. 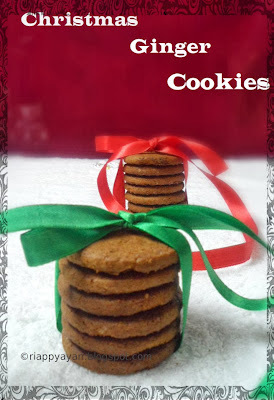 This rich, tender and crumbly straw colored biscuit (cookie) was once only served during Christmas and New Year's Eve. Today's shortbread cookies are made and enjoyed year round and their ingredients have gone far beyond the original recipe of butter, sugar and flour. Flavorings added now include extracts, chocolates, nuts, spices, dried fruits, and citrus zests. Rice flour, corn flour (cornstarch), semolina can replace some of the flour to change the texture. The quality of your shortbread is dependent on the quality of your ingredients, especially the butter. This is not the time to skimp. Buy the best quality unsalted butter you can find and you will be rewarded with a crispy, crumbly, buttery morsel that literally melts in your mouth. Shortbread dough is so versatile. Once you have made the basic shortbread batter, you can add chocolate chips to make chocolate chip shortbread, or add instant espresso powder for a coffee favor or 1 tablespoon of finely chopped orange or lemon zest will give you a nice citrus flavored shortbread. The texture of shortbread can also be changed by replacing 1/4 cup of the all purpose flour with rice flour which gives the shortbread a slightly crunchy texture. Or, for a more delicate tasting shortbread, with a melt-in-your-mouth texture, replace 1/2 cup of the all purpose flour with cornstarch (corn flour). Shortbreads can also be cut into various shapes and sizes using your favorite cookie cutter. 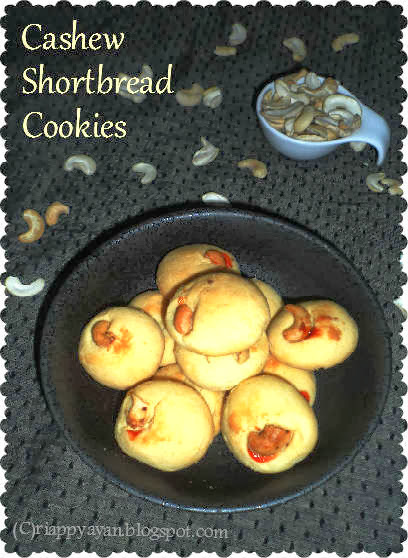 I baked this shortbread cookie with roasted cashews and added cardamom powder for some divine flavour. Vanilla extract : 1 tsp. Cardamom Powder : 2 tsp. Preheat oven to 180 degree C. Grease a baking tray. 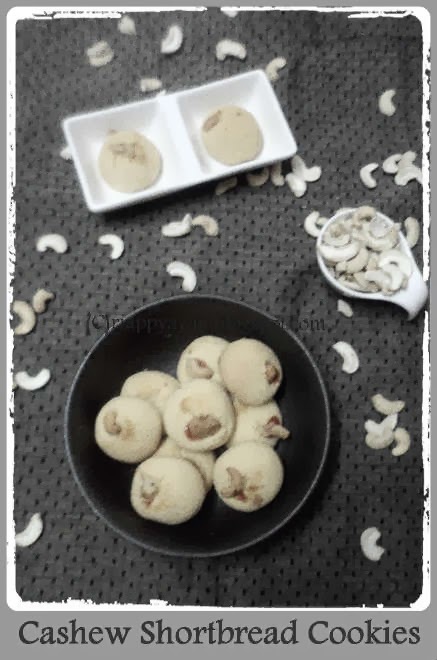 Lightly roast cashews in ove or over a flat frying pan until they change their color a bit, cool slightly and place roasted cashews in food processor and process until finely ground. In a bowl, add butter and sugar, with an electric beater, beat until creamy, add vanilla; process until well blended. 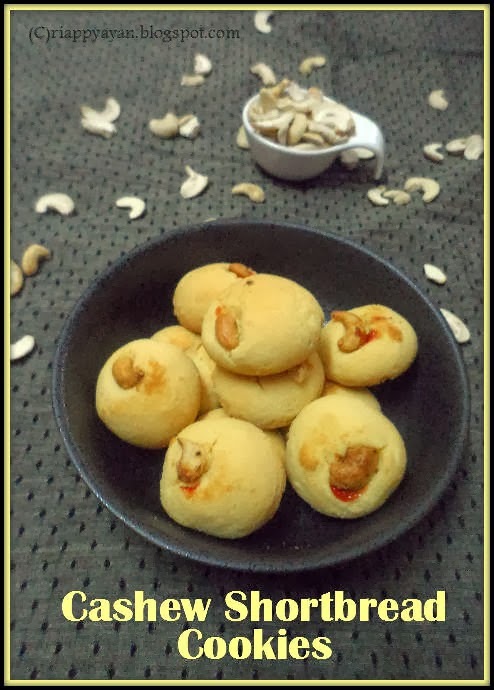 In a seperate bowl, mix together flour, baking powder, cardamom powder and grounded cashew nut powder. Then slowly add this flour mixture into butter-sugar mixture. Beat until well-blended and begins to form a ball. Wrap the dough in a plastic wrap and keep aside for 1/2 an hour. Pinch out 1 inch sized balls from the dough. Place about 1 inches apart on baking sheets, drop a little dash of your favorite jam on each cookie and place a roasted cashew halves over it. Bake for 10 to 12 minutes or the cookies are lightly browned. Remove to wire racks to cool completely. Click on this link to get some more Christmas cake/goodies ideas. Oh thanks for the wonderful information indrani .They look just awesome. looks so melt in the mouth!! !